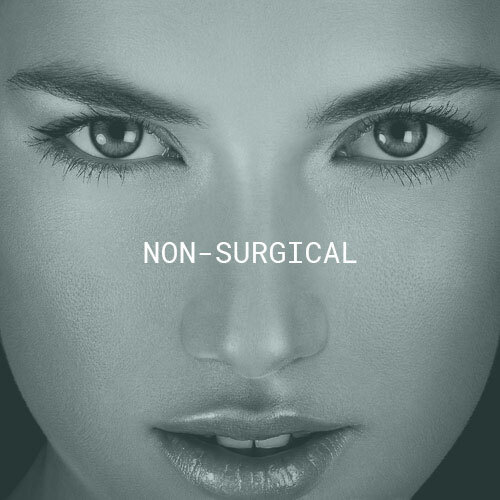 My priority as a plastic surgeon is the health and happiness of my patients. I am dedicated to providing a personalized approach to each patient, first by listening to your unique goals and concerns, followed by patient education and formulation of a treatment plan that is tailored just for you. I encourage you to visit my office, meet my staff, and come in for a complimentary cosmetic consultation where you can learn more about what we have to offer in a friendly and non-pressured environment. Each patient is unique and has different concerns and desired outcomes. Dr. Park provides quality, compassionate care with a well designed, artistic, and personalized surgical approach. See our before and after photo galleries featuring breast surgeries, body contouring, facial and eyelid plastic surgery procedures. Experience a visible difference in the health and vitality of your skin, starting with a complimentary skincare consultation. Get ready to love your skin, with noticeable results after only 6 weeks on your customized treatment plan. Indulge in luxurious facial treatments designed to deliver beautiful results. We use the most innovative and effective skincare from ZO Skin Health and ZO Medical to keep your skin healthy, youthful and vibrant. Nothing is more rewarding for Dr. Park than sharing in the joys and positive experience with his patients. See reviews, testimonials, and appreciation from Dr. Park’s patients here. Contact us to schedule a consultation with Dr. Park to discuss how he can best help you achieve your aesthetic goals. Dr. Park takes a personal interest in the success of each patient and believes one of the most important things to do as a physician is to listen. Being the only plastic surgeon in the country who is double Board Certified in both Ophthalmology and Plastic Surgery with subspecialty fellowship training in Oculoplastic Surgery, Dr. Park is able to combine the best knowledge and techniques gained through his multi-disciplinary training and the experience of thousands of procedures, and apply them to address each individual patient’s aesthetic goals. Enter email to receive announcements on upcoming events, specials, and other news. Delivered to your inbox twice a month. Dr. Park is an amazing surgeon. Dr. Park performed my eyelid surgery and did a lift of my eyebrows. I have absolutely no scars at all on my eyelids. I have a friend who is married to a plastic surgeon and he even said to me that he wished he could do as great a job as Dr. Park. Go see him. You won't regret it! I cannot express enough how amazing Dr. Park is! He is a true artist. My tummy tuck was a complete success! The procedure changed my life. And I couldn't be happier with the results. I feel like a million bucks and am so thankful that my friend recommended Dr. Park to me. He has a true and wonderful gift and I am 100% going to go back to him for other work in the future. Words cannot express how grateful I am to him. I would HIGHLY recommended him!! !